Stacie Morgain Lewis & Friends performs in a free, outdoor children’s concert from 7 to 8:15 p.m., Wednesday at the Levitt Pavilion in Westport as part of the Doug & Melissa series of children’s concerts. 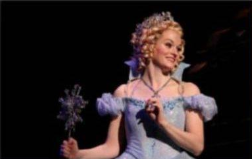 Stacie Lewis — who has played Glinda, the Good Witch in Wicked on Broadway — will perform songs from her new children’s album, Harmonize. 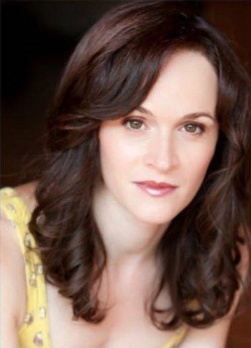 She will be joined by her four-member musical group which includes Ben Cohn, the current conductor of Broadway’s Dear Evan Hansen. 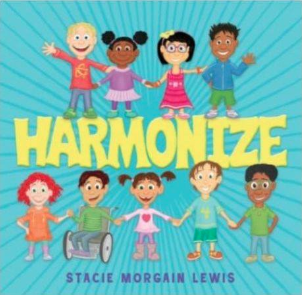 In addition to being a Broadway artist, Stacie is a teacher, arts advocate, co-writer of the children’s album, Harmonize, and creator of Harmonize Kidz, an arts enrichment program that uses her music to teach social and emotional learning to elementary students. The curriculum and corresponding songs are currently being taught and used, building community and changing lives in elementary classrooms in New York City and New Jersey. Presented by the Levitt Pavilion as part of our Melissa & Doug Children’s Series! Every Wednesday, kids rock and rule at the Levitt Pavilion! Kids are welcome to visit the Melissa & Doug Hospitality tent for kids and enjoy complimentary face-painting for kids (while supplies last)! On-site activities begin at 6 p.m. The lawn and concession areas are open to the public one hour before show-time. The Levitt Pavilion is closed to public during load-in and sound-check. Picnics are welcome. The Levitt Pavilion and its perimeter is a non-smoking area. Pets are not allowed on the grounds. In case of inclement weather, check back here or call our concert hotline (203-221-2153) at or after 4:30 p.m. on the day of the show for a location status update. While we have a nearby rain location for free shows, we always do our best to stay outside shower or shine! Free shows are BYO-Lawn Chairs or Blankets (unless otherwise indicated). For free shows, tickets are not required (unless otherwise noted in show description); free entry on first-come basis. The Levitt Pavilion Lawn closes for sound check at 4 p.m .and re-opens one hour before show-time for picnicking. Lawn closes nightly after show. Our on-site concession opens one hour before showtime and stays open during all shows. Picnics and coolers are still welcome for free shows. Note: Picnics and coolers may not be permitted at some ticketed benefit events – check show information when buying ticket. Always be prepared to condense your picnic when show starts if directed to do so by staff. Love our Lawn! Please use trash receptacles. Do not dispose of ice or cooler water on lawn. Plastic and cans are always preferred – the Lawn is a barefoot zone! High tables, tents and umbrellas are not permitted. Do not stand on or walk through planted areas. Children must be monitored by guardians at all times. Please encourage conduct that allows all guests to focus on and enjoy what is happening on stage once show begins. No stage or backstage area access permitted; this includes the area directly behind the stage. To access our new RiverWalk, use the Shoup Path or the entrance by the footbridge at Imperial Avenue Parking Lot. The Levitt Pavilion for the Performing Arts produces one of the longest running free outdoor festivals in the nation. Established by the Westport community in 1973, the Levitt Pavilion remains an independent 501(c)(3) not-for-profit organization. The only way to support us is directly! Become a member or make a donation directly at www.levittpavilion.com. Fairfield County's (almost) all -physician rock band plays an infectious mix of rock, Motown, oldies, and contemporary hits. Celebrate the life-saving acts these heroes perform on a daily basis and recognize and remember the sacrifices they make.